L Holmes Second from Left, SFC B Moran on right. A-4610,46th SF Company, 1969. Hua Hin, South Thailand. We are part of an SF Honor guard waiting for the King and Queen of Thailand. She stoped in from of SGT Gary M. Rose and got out of her Rolls Royce and spoke to him. MY WEB PAGE IS DEDICATED TO TWO SPECIAL FORCES TEAM MEMBERS KILLED IN ACTION IN SOUTHEAST ASIA WHILE CONDUCTING OPERATIONS FOR THE FREEDOM OF THE OPPRESSED. 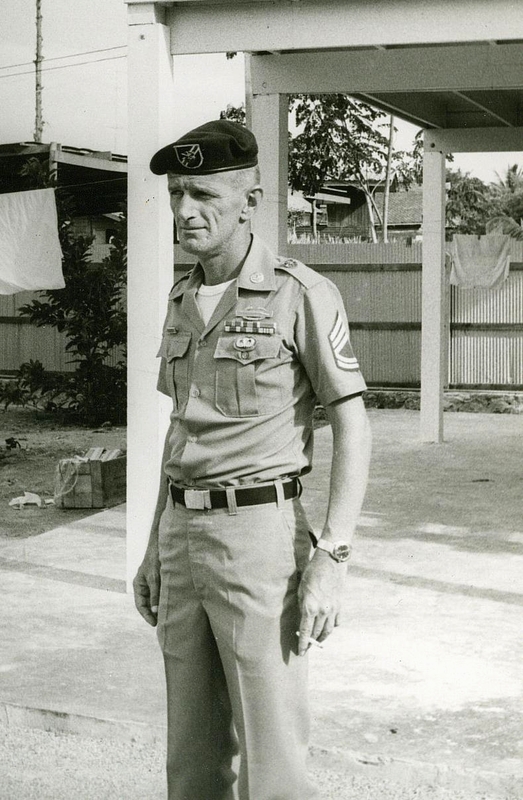 Staff Sergeant Wallace Gumbs, senior demolition, ODA 4624 on January 6, 1968 at the Royal Thai Police Camp, Chaw Ha, North Central Thailand, conducting counterinsurgency operations. 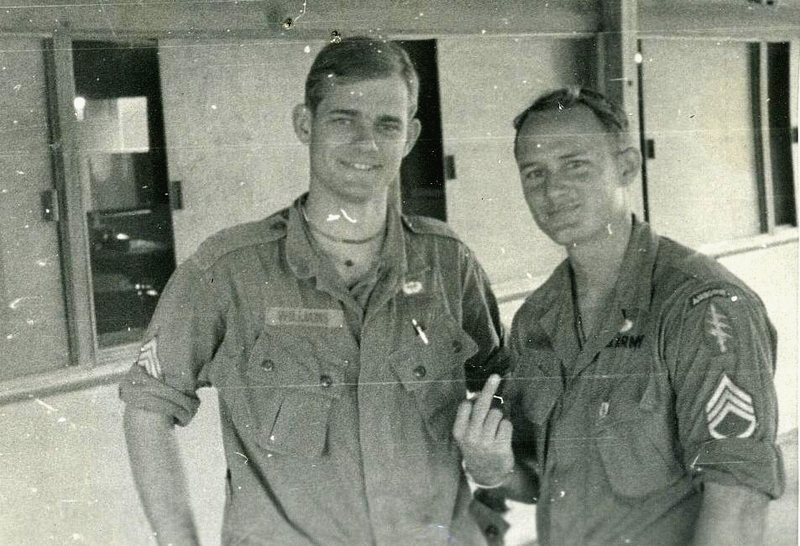 Sergeant First Class Charles Carpenter, weapons, 4th Battalion, Company 261 of II Corps Mike Force on February 24, 1969 while defending Special Forces A Camp, Ben Het, Republic of South Viet Nam. SFC Carpenter was awarded the Purple Heart and Bronze Star with V device posthumously. Louis (Lonny) Holmes was born in Los Angeles, California. He grew up surfing the waves of Southern California and Hawaii. 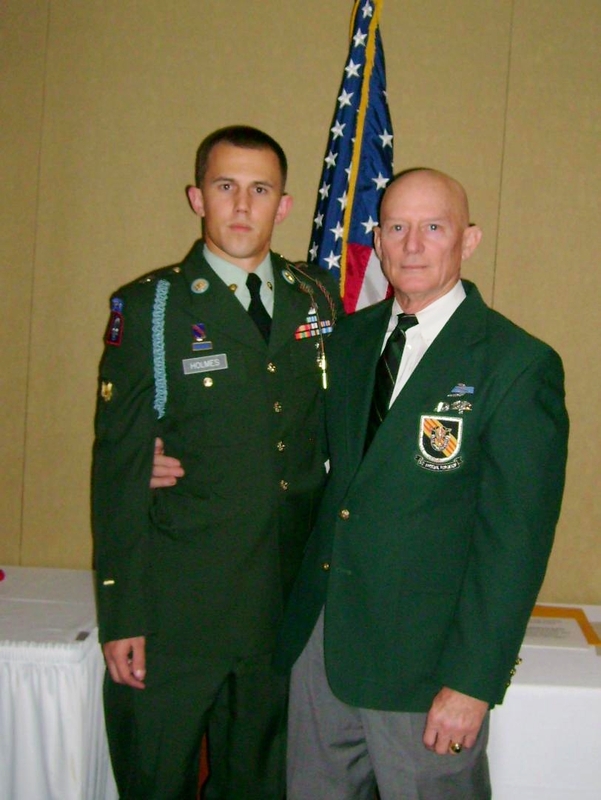 After two years of college he followed the advice of Colonel Al Bernardi, his high school algebra and geometry teacher, who also happened to be the commander of Southern Cal’s Special Forces Reserve unit, and enlisted in the United States Army, Airborne unassigned. Following completion of infantry training and intermediate speed radio operator school, he attended jump school. At Fort Bragg he completed the Q course in 1964, becoming qualified as a SF medic 9IB (18D), and continuing to maintain the MOS of 051B (18E). My first special forces assignment was Company A, ODA 5, 3rd Special Forces Group, Airborne, at Fort Bragg… remember those old WWII wood barracks on Smoke Bomb Hill! As a junior medic I began advanced team training, then completed sub Saharan Africa studies and the Gemini Space Capsule Recovery mission training. I was headed to Nigeria in 1966 when I received orders for reassignment to D Company, 1 st Special Forces Group, Airborne, ODA 432. Moving further up Smoke Bomb Hill, I began Thai Language and mission training for Southeast Asia. ODA 432 became a special team, commanded by CPT Greenwood and Master Sergeant “Moose” Brannon. Both old airborne troopers, Moose had been airborne in WWII and Korea, prior to his multiple tours in RVN. CPT Greenwood had served with SF in White Star in Laos in ’59-60. Sergeant First Class Forrest K. Forman, our intelligence sgt, and karate expert later became operations SGM for “Delta”. 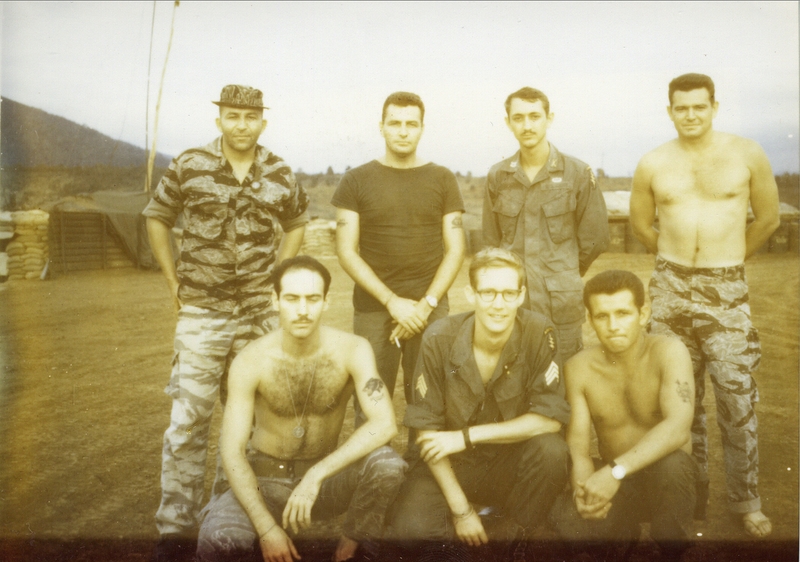 We deployed to Thailand in October 1966 and began training at the S.F.O.B. at Camp Pawai, Lopburi. B-24 with its contingent of A-teams (including A-432) and all equipment then deployed for its mission to Trang, South Thailand on the Malay pennisula, by tactical parachute infiltration. The 606 m Air Commando Squadron provided C-123 aircraft. This was reputed to be the longest non-stop airborne operation executed by Americans in the C-123 aircraft at that time. Our mission was to build a base camp and began counterinsurgency training of the Royal Thai Army Infantry. Camp Carroll was named in honor of SFC “Billy” Carroll, after his untimely death in early 1967. My job as senior medic was to train the RTA medics, hold daily sick call and patrol in the mountainous rain forest with the training companies. In early 1967 our team redeployed to the S.F.O.B. 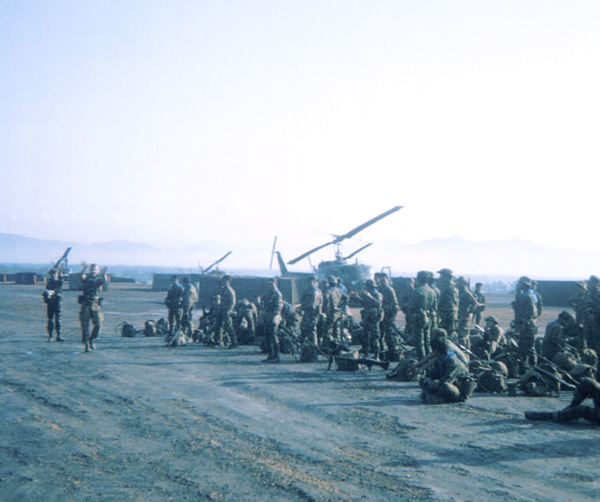 in Lopburi, to begin training of the Queens Cobras Battalions destined for action in South Viet Nam. At this time I also helped staff the HQ dispensary awaiting assignment to Jumpmaster school and the 8 week Special Forces Professional Course (recon) which I completed in the summer. Next I was assigned to ODA 4624 in North Central Thailand to start a counterinsurgency course for the Royal Thai Police. 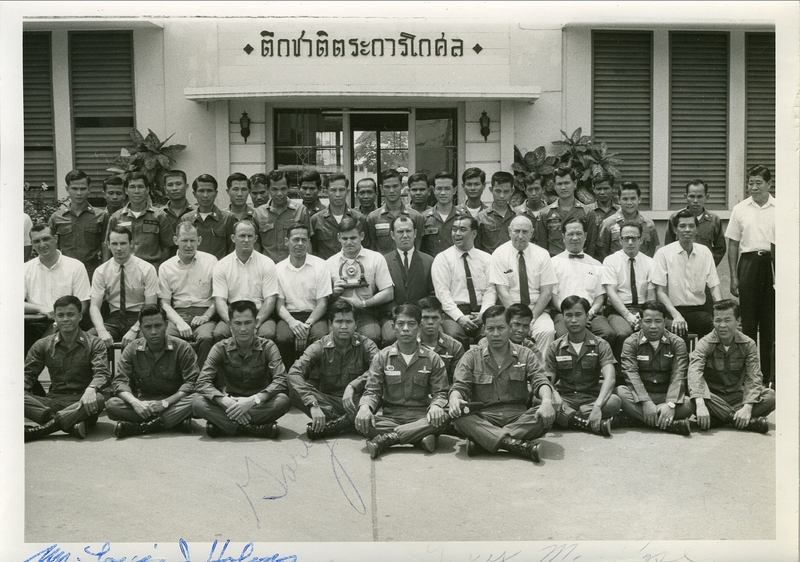 ODA 4624 established the school for the first class of 100 police officers in late 1967 and conducted the final phase of field exercises in the mountains of North East Thailand. Staff Sergeant “Wally” Gumbs was senior demo and Staff Sergeant John R. Martin also demo. 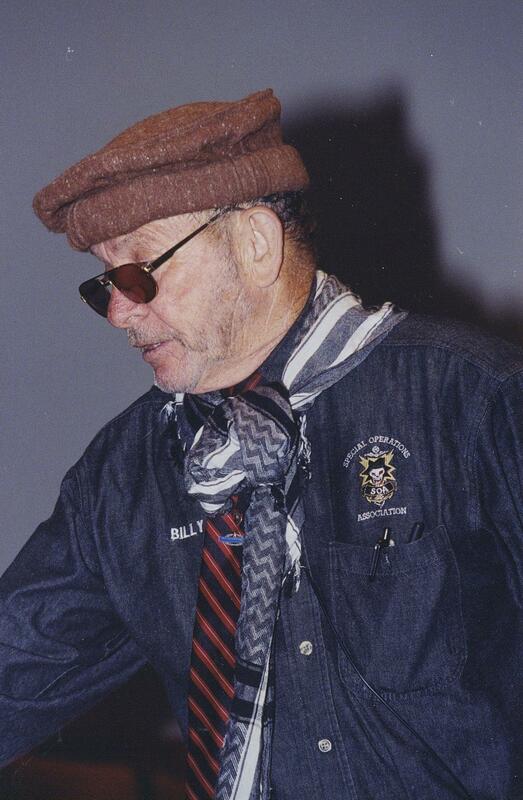 In later years John became SGM of “Delta” training. The members of our detachment wrote a two volume book, Antiterrorist Training Manuel, Counterinsurgency Operations for Police Officers. This set was published in English and Thai, and classified until 1985. In conjunction with senior members of the Royal Thai Police we created a counterinsurgency proficiency badge. This badge was based on the American Combat Infantry Badge with an overlay of the Special Forces Crest, with black enamel in place of the blue. 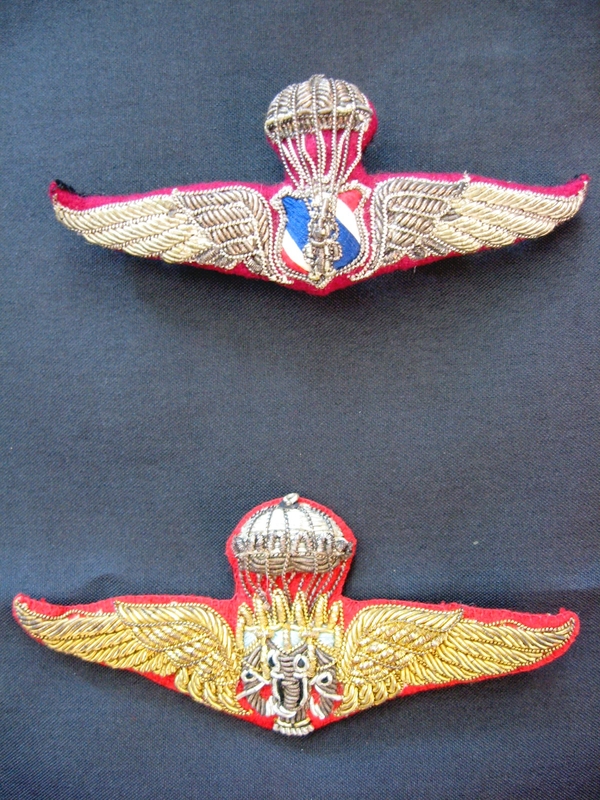 This proficiency badge was subsequently awarded to about 23 members of the SF community, and graduating Thai officers. After nearly two years of Thai mission training and deployment I was again reassigned, this time to ODA 251, Company B, 5T Special Forces Group, Airborne, Republic of South Viet Nam. 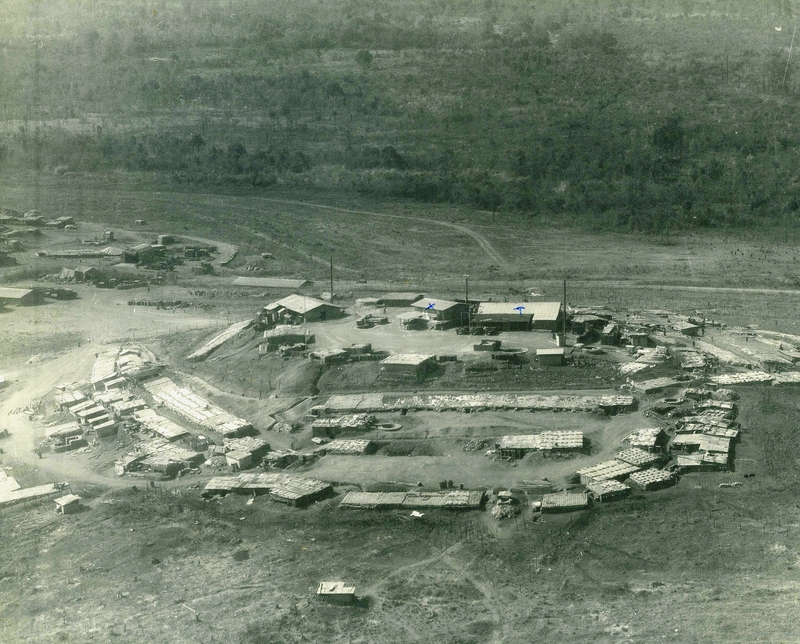 Our SF A Camp, PleiDjereng, was located in II Corps, due west of Pleiku, adjacent to the Laotian border. My job as medical supervisor of the team included providing medical care to all members of our CIDG (5 companies), their families and local villagers as time and medical supplies allowed. In camp defense, I manned to .50 cal machine gun, and did combat patrols in our TAOR with the CIDG troops. 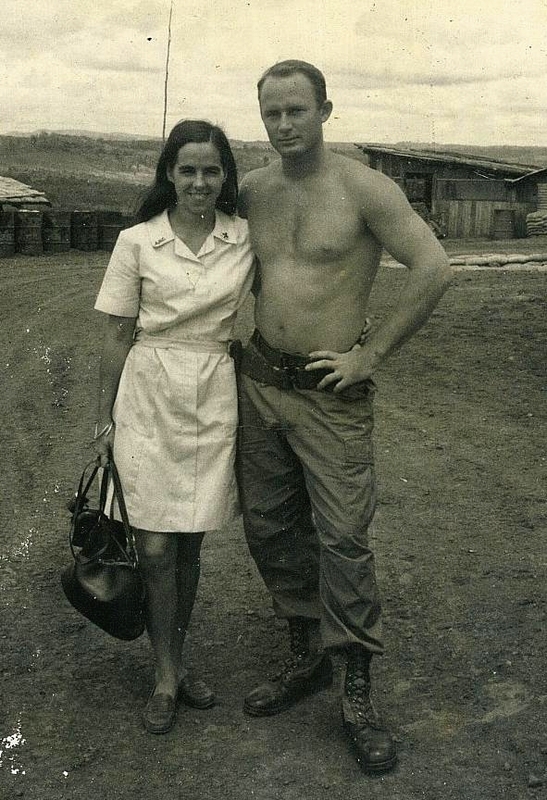 In late 1968,1 had the good fortune to be assigned to II Corps “Mike Force” 4 l ” Battalion, 261 51 Company in Kontum as platoon leader and battalion senior medic. 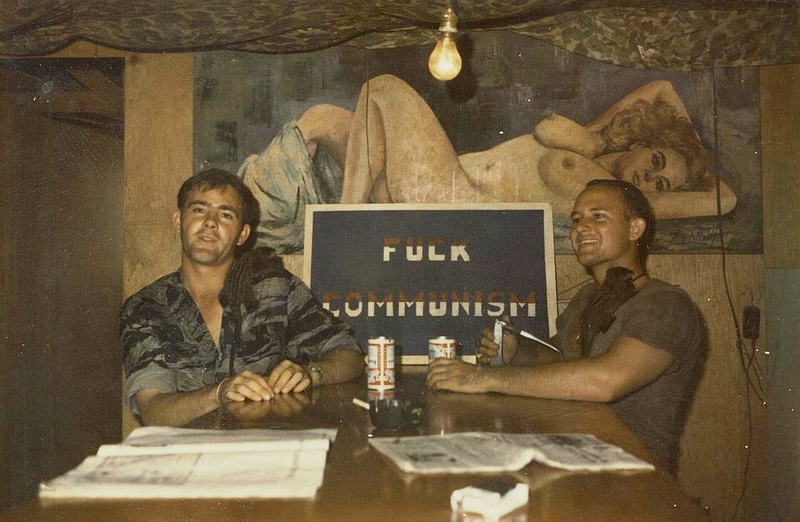 I ran combat missions with companies in Kontum, Pleiku and Bon Son providences. Sergeant First Class Charles Carpenter, weapons sgt, was in my company and also had been a member of ODA 251, PleiDjereng. At the end of my tour I received the coveted Combat Infantry Badge. Returning to Thailand I was assigned to several ODA’s working with the Royal Thai Border Police. 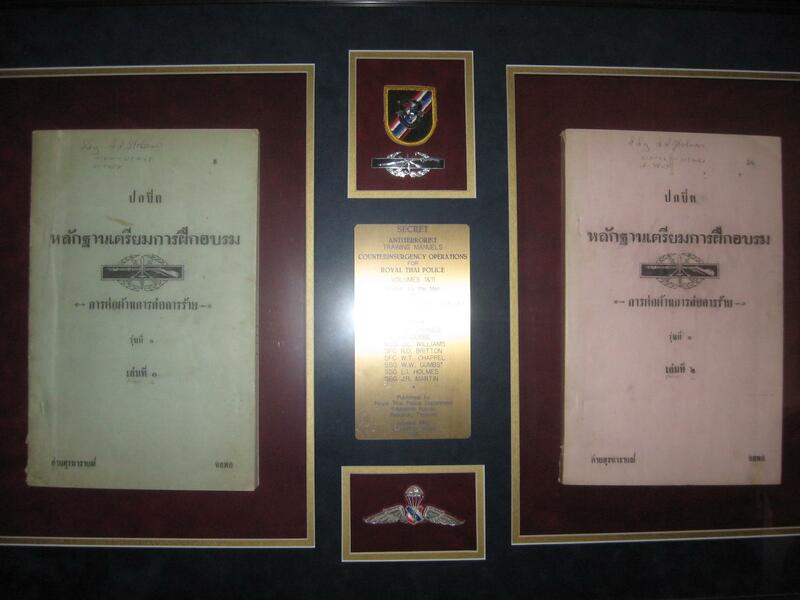 The first was south of Bangkok on the Gulf of Siam, ODA 4610, located at the police airborne school. This team had many functions and was originally started by a famous SF “spook”, the monk. Need I say more! My final “police” assignment ODA 4616, was in Bangkok with 5 great guys. Our senior sergeant, a very old friend (ex marine) from previous assignments was SFC Charles Floyd. Street clothes, embassy cars, the whole bit. For a bunch of medics we worked hard but had a great time. At the Royal Thai Police General Hospital we established a 5 week advanced medical training school. One member, Sgt Gary Rose, was destined for a great army future, starting with MACV SOG, at FOB-2 (Command and Control Central), and a DSC next year. For me, this was a good transition to civilian life and college. Following discharge after nearly 7 years as an SF medic I returned to Southern California, later attending the University of Southern California School of Medicine, graduating as a physician assistant. I then joined the California National Guard becoming 1SG of the 143T Evacuation Hospital. After completion of a surgical residency at Yale School of Medicine and Norwalk Hospital I was promoted to warrant officer, and was assigned back to the infantry. In 1995 I became assistant professor of clinical surgery , Department of Cardiothoracic Surgery, Keck School of Medicine, at USC. I have been widely published in professional journals and have served as president of state and national professional organizations. I am listed in Who’s Who in Medicine and Health Care. I served as a technical advisor and played a role in the feature film, City of Angels staring Meg Ryan and Nick Cage. I can be seen in the movie assisting Med Ryan performing heart surgery. In 1999 I was interviewed by the History Channel for the TV series on Special Forces, Special Ops: Mike Force. 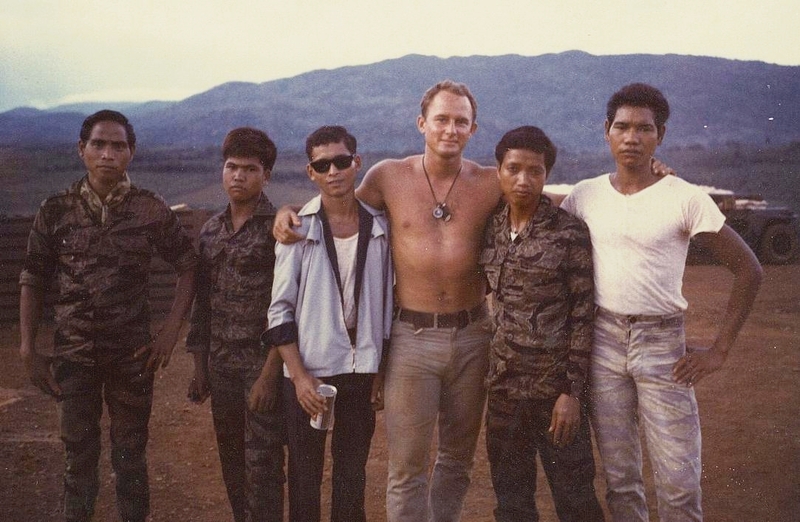 A documentary on an elite Special Forces assault force in Viet Nam. The same year I collaborated on a book, The Green Berets, Weapons and Equipment, by Crowood Press. 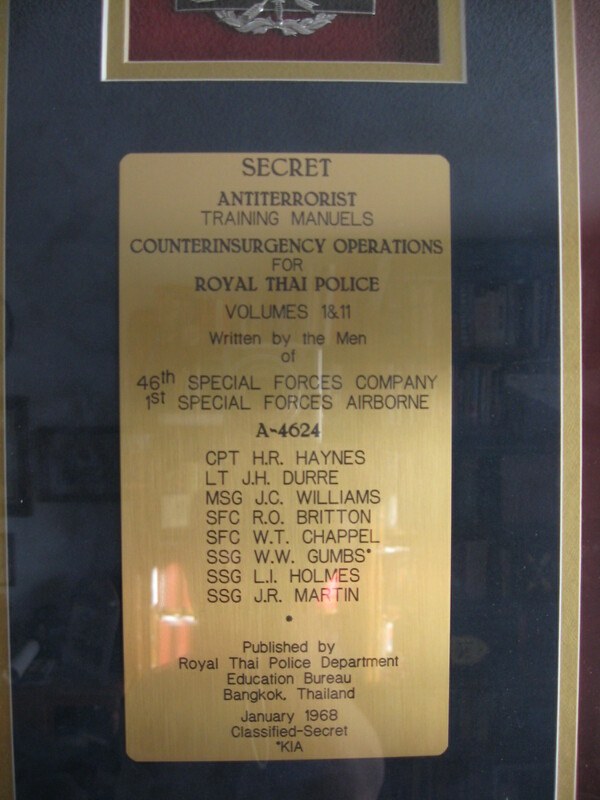 In September 1967 Special Forces A-Team 4624 was assigned to the Crime Suppression Department of the Royal Thai Police Department, to develop and conduct a counterinsurgency program and train a select group of police officers. This team of highly trained professional Airborne Soldiers conducted their mission under the auspices of the American Embassy in Bangkok, United States Operations Mission to Thailand and close guidance of the Agency for International Development. George K. Tanham, PhD., Special Assistant for Counterinsurgency to Ambassador Leonard Ungar, maintained operational control of anti communist program development. Direct mission support was conducted from the Office of Public Safety, USOM, under the direction of Lawrence Arritola, Senior Advisor, Border Patrol Police. Military control of team A-4624 was by LTC Robert H. Bartelt, Commander of the 46th Special Forces Company, at the Royal Thai Center for Special Warfare, Lopburi, Thailand. Senior Military Special Operations Advisor was LTC Roger M. Pezzelle (S.F. ), JUSMAC-THAI, Bangkok. Following relocation to the police training camp at Chaw Haw, Team A-4624 began in earnest to assemble and train the Royal Thai Police Cadre while simultaneously developing the curriculum for the Counterinsurgency Course. The curriculum of this course, construction and operation of the anti-terrorist training facilities and subsequent recon and field operations became the basis for the development and printing of the Antiterrorist Training Manuals. One hundred seventy five Royal Thai Police Officers were specially selected to participate in the first counter-insurgency course that began on November 21, 1967. This group of handpicked police officers ranged in rank from sergeant to special colonel (equivalent to brigadier general in the U.S. army). They represented the highest caliber officer from districts involved in communist suppression throughout Thailand. Because of the special need to locate, capture or eliminate communist insurgents, called Communist Terrorists (CT) in Thailand, this program stressed combat operations to include city, rural and jungle locations. For many of these officers the use of heavy military weapons and equipment was a new experience. Many senior officers came from leadership and administrative positions. They all met the challenge. The wide variety of venues for counter insurgent action provided a new meaning in policing their country of a renegade group. The future of their country, like the Republic of Vietnam, depended on eliminating this subversive group. The members of A-4624 provided instruction and leadership to the Royal Thai Police Training Cadre while working closely with the student officers. This resulted in a personal friendship between the Royal Thai Police Officers and the United States Army Special Forces, (Green Berets). 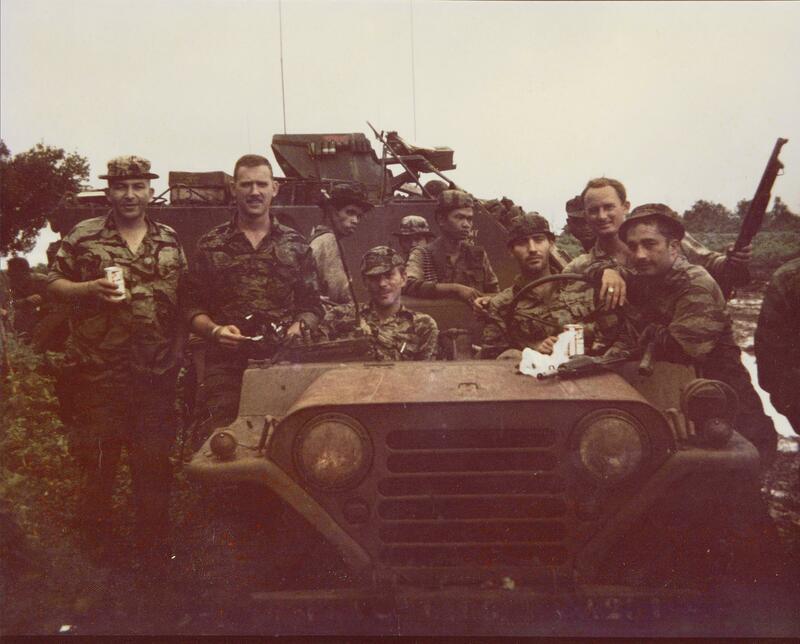 One hundred fifty five officers completed the Counterinsurgency Course and graduated on January 11, 1968. At graduation the Royal Thai Police Officers were awarded the Counter Insurgency Badge. Members of A-4624 and the Senior Royal Thai Police Officers designed this highly coveted badge. This emblem is a composite design taken from the United States Army Special Forces Crest and the American Army Combat Infantry Badge. 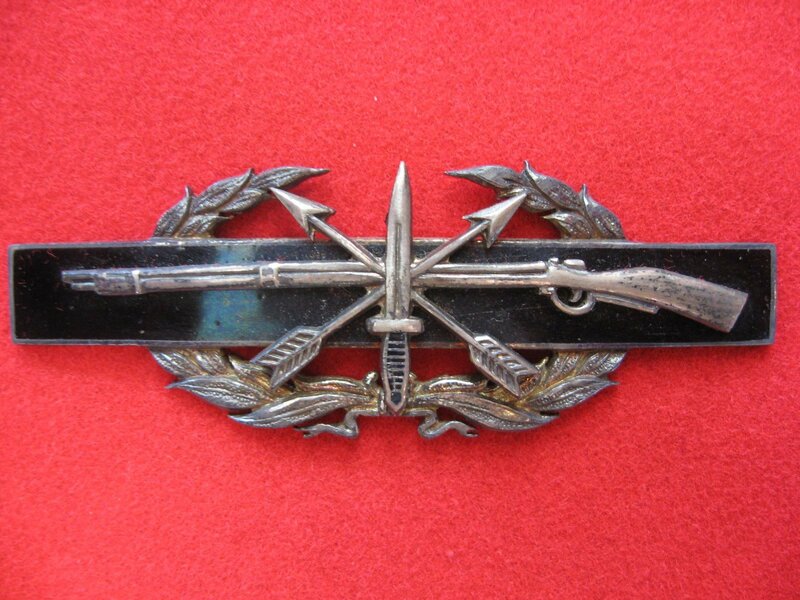 The background color of the Combat Infantry Badge was changed from blue to black, and then the Special Forces Crest was superimposed over the center of the rifle. The Special Forces motto, “De Oppresso Liber” was eliminated. Members of the original Special Forces Team were also awarded the Thai Police “CIB”. Thailand benefited from the support of the United States of America and programs like this Anti Terrorist Training Course and remained free from the communist insurgency. Today, Thailand is one of the strongest political and economic nations in Southeast Asia. SSG Wallace (Wally) Wilfred Gumbs was born April 10, 1942, and raised in the city of Charotte Ahale, American Virgin Islands and completed the Special Forces “Q” course in 1962. He then served as a Special Forces Combat Engineer (12B4S) with the 7th, then the 6th Special Forces Groups, ABN. 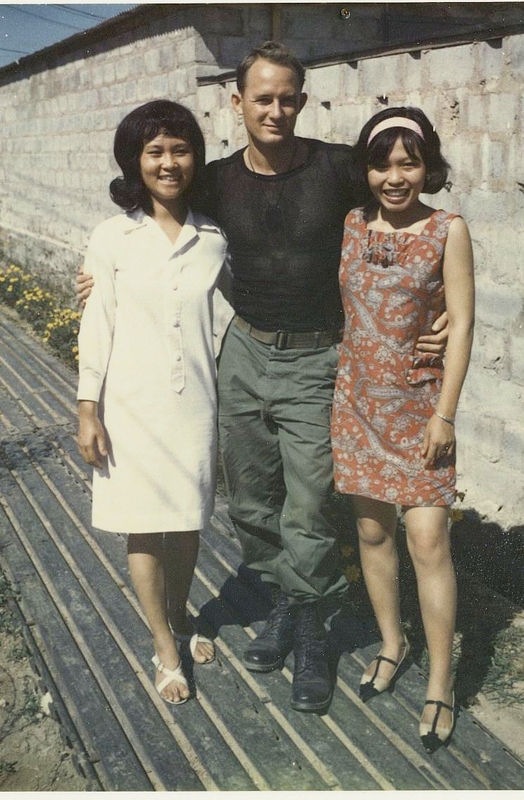 His next assignment was with the Original Contingent of the 5th Special Forces Group, ABN, for deployed to the Republic of Vietnam in the fall of 1964. After his tour in Vietnam, SSG Gumbs returned to the 7th Special Forces Group, ABN, at Fort Bragg, NC. 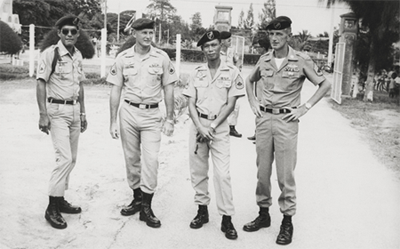 SSG Gumbs was next assigned to Company D, 1st Special Forces Group for mission and language training and deployment to Thailand in late 1966. 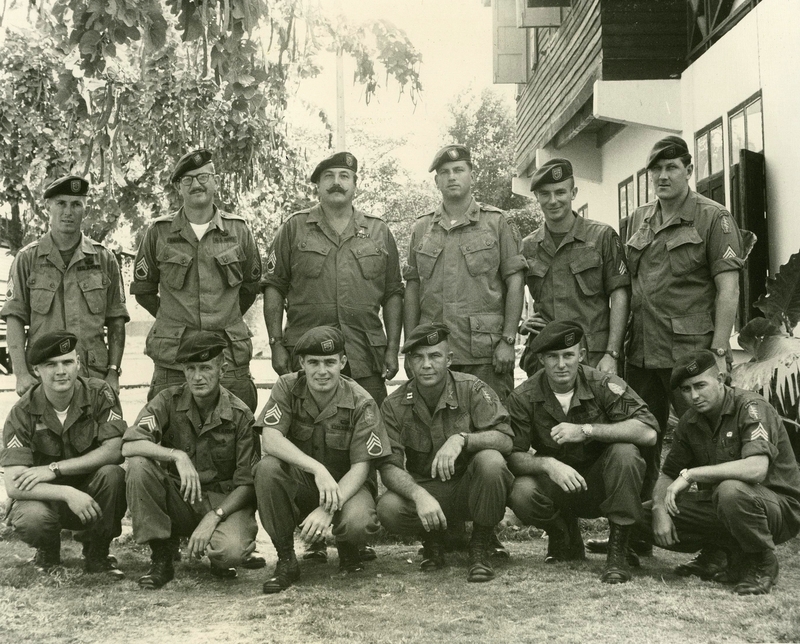 In the spring of 1967, D Company became the 46th Special Forces Company, (Airborne), independent of the 1st SFGA. SSG Gumbs spent the year of deployment with A-4623. 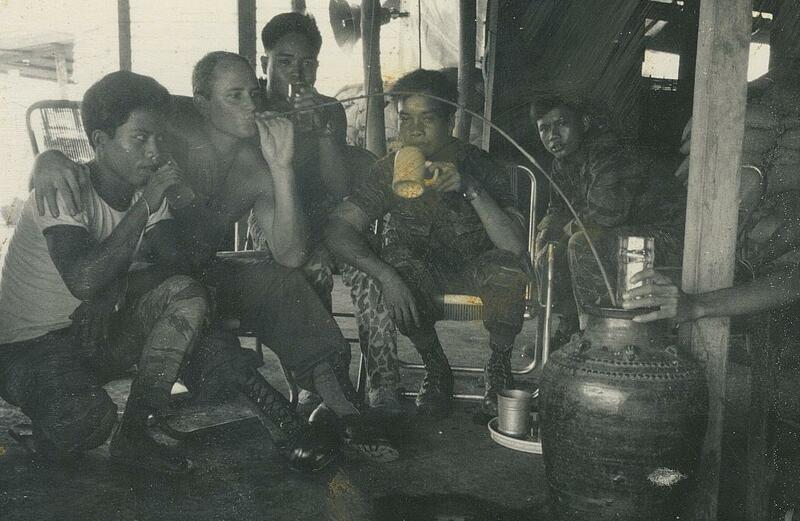 His subsequent assignment to A-4624 of the 46th SF Company (A), demonstrated his fluency of the Thai Language, excellent teaching skills coupled with knowledge of Special Forces Combat Engineering and outstanding leadership abilities. He also wrote 4 chapters the Anti Terrorist Training Manuals. His untimely death in January 6, 1968, at the Royal Thai Police Camp, Chaw Haw, was a tragic loss to his family and the Special Forces community. SSG Gumbs awards included the Combat Infantry Badge, Bronze Star Medal, Army Commendation Medal, Good Conduct Medal, National Defense Service Medal, Republic of Vietnam Campaign Medal with 60’s Device, Republic of Vietnam Service Medal, Republic of Vietnam Cross of Gallantry with Palm Leaf, American Parachute Badge, Expert Rifle Badge, and Sharpshooter Badge with Pistol Bar. He also had received the Royal Thai Army Parachute Badge with Fourragere, Royal Thai Police Counter Insurgency Badge, and the Royal Thai Border Police Parachute Badge. 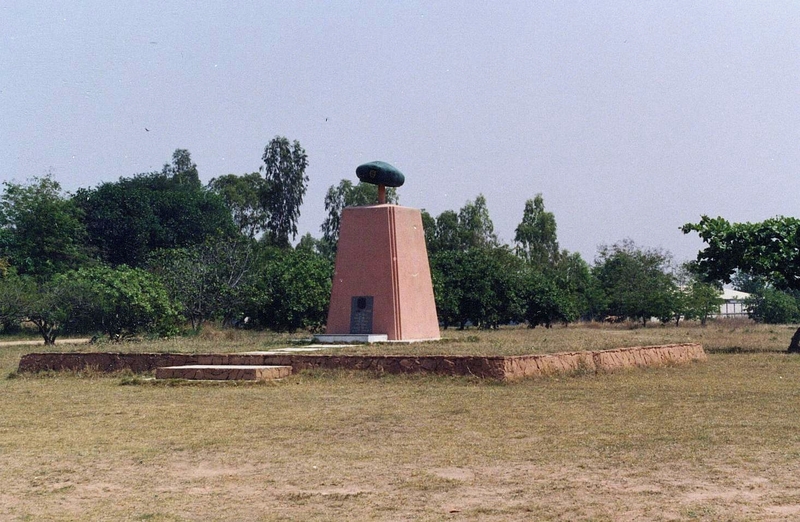 Many years after the death of SSG Wallace W. Gumbs, the Thai National Police Department erected a large memorial with a bronze Green Beret on top. This memorial is located at the Royal Thai Police Camp, Chaw Haw, where he died. Inscribed are these words: SSG Gumbs gave his life for the freedom and the independence of Thailand and his sacrifice is in the highest tradition of the United States Army and Special Forces. His memorial will serve to remind us all that freedom is costly but that there are men such as SSG Gumbs who are willing to pay the price.